With their win over Auburn last night, The University of Georgia will play in their first ever College Football Playoff. 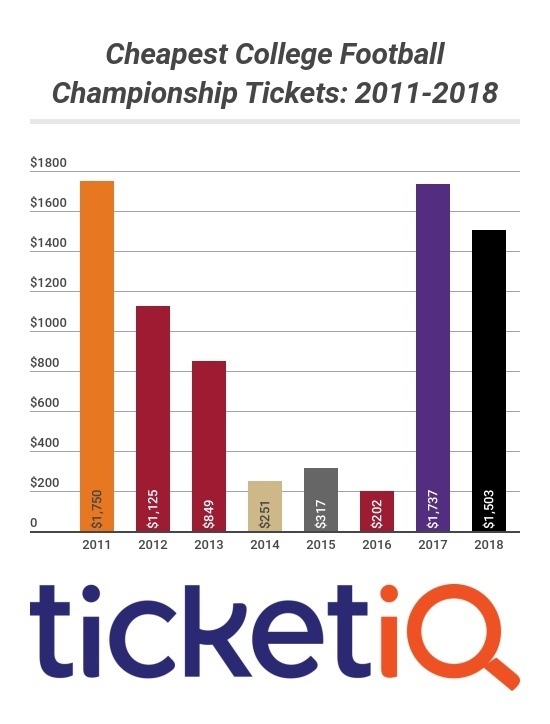 Based on the current prices for College Football National Championship tickets on the secondary market, 2018 could be the most expensive championship game TicketIQ has tracked in eight years, and possibly the most expensive for decades to come. In order for that happen, Georgia has to win their semi-final game against Oklahoma at the Rose Bowl, where tickets start from $295. If they can beat Oklahoma in the Rose Bowl a UGA championship game in Atlanta would likely shatter the record for most expensive game TicketIQ has tracked in 2011 and 2017. Both featured a UGA rival, Auburn in 2011 and Alabama in 2017. If the 2018 game is against Alabama, it will likely be the most expensive in the history the sport. Georgia played it's first game in 1892 against Auburn in Piedmont Park, which is about 15 minutes from the where the title game will be played on January 8th. For that game, adults paid 50 cents and kids paid 25. Currently, the cheapest ticket for the championship game is $1,500. Last year, a 'get-in' price that high wasn't reached until the day of the game, when quantity was scarce and fans were scrambling. Two weeks before Clemson and Alabama won their semi-final games, the cheapest ticket was available for $500, which means prices rose 300% in total. If UGA and Bama make it this year, the current $1,500 'get-in' could turn into $6,000, quickly. In that scenario, the average price would blow through $10,000 and make two previous highest prices TicketIQ has tracked seem like a relic from another era. Both of those games featured one of Georgia’s SEC rivals, with Auburn 2011 and Alabama in 2017, and had average prices just under $3,000. 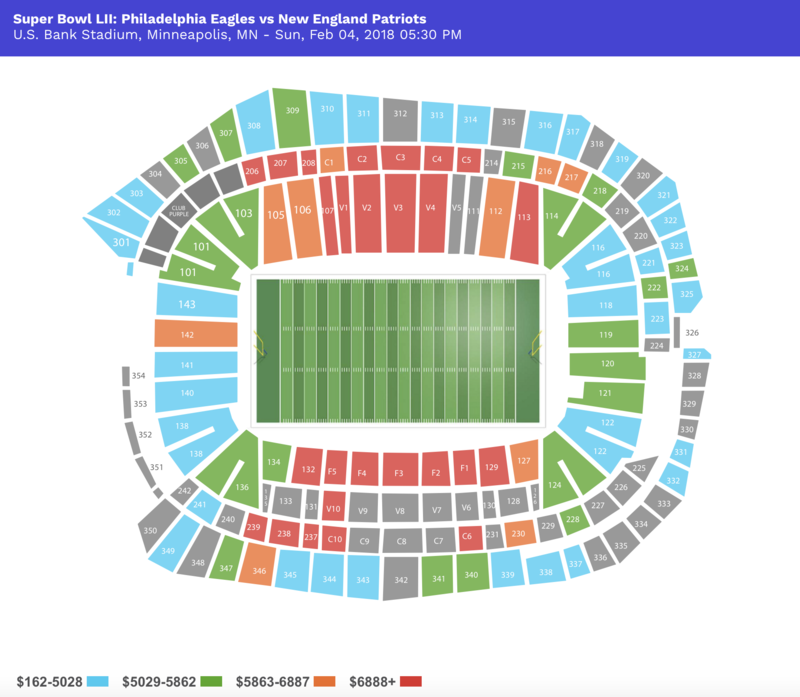 The Below chart shows the cheapest ticket from each of the last eight years. For last years's game, Clemson and Alabama had the second shortest combined travel distance to the title game, at 579 miles. If Alabama and Georgia make it to the finals this year, their combined travel distance from campus would be 274 miles, behind only the the 2012 championship game between LSU and Alabama at the Mercedes Benz SuperDome in New Orleans. For the hundreds of thousands of Georgia and Alabama fan and alum that live in Atlanta. While proximity to venue is a big demand driver for championship games, proximity in years to the last title than may be the biggest. In 2011 for Auburn, it had been over 50 years. Prior to beating Alabama last year, Clemson last won a title in 1981, one year after The Georgia Bull Dogs 1980-season title. For the Bulldogs, this would be only the third title for the school that brought the sport of college football to the south in 1892. Prior to 1981, the only other title came in 1942, 38 years before the 1980 game. Since then, UGA fans have had to watch other teams like Alabama, Auburn and LSU celebrate countless titles in Atlanta at the recently-demolished Georgia Dome. While the Georgia Dome is gone, The SuperDome remains, as do memories of the 1981 title which took place there. At the time, it was the future of sports entertainment for the world. For the UGA fans that made the 542-mile trek, the 17-10 win must have felt like a bright future indeed. For the University of Georgia and their proud fans, it's a future they've been waiting 37 years for. A National Championship victory on January 8th in a brand-new stadium 72 miles from school would be a sweet way end it.